Ecologists studied the animals living in and on the seafloor of the Humber study area. It is important to know what species of animals and how many live in the region, as well as what habitat they like to live in, so that we can protect our amazing coastal sea life. The focus of the REC ecology research was studying the benthic macrofauna. 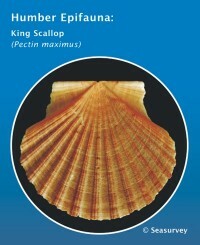 This term refers to all small animals that live in and on the seafloor. Ecologists divide the benthic macrofauna into two main groups. Infauna are animals that live in the seafloor, buried in the sediment. Epifauna live on or just above the seafloor, normally when there is gravel or rocky areas that the animals can attach to. They also studied other larger mobile animals, like fish, which live on the seafloor. 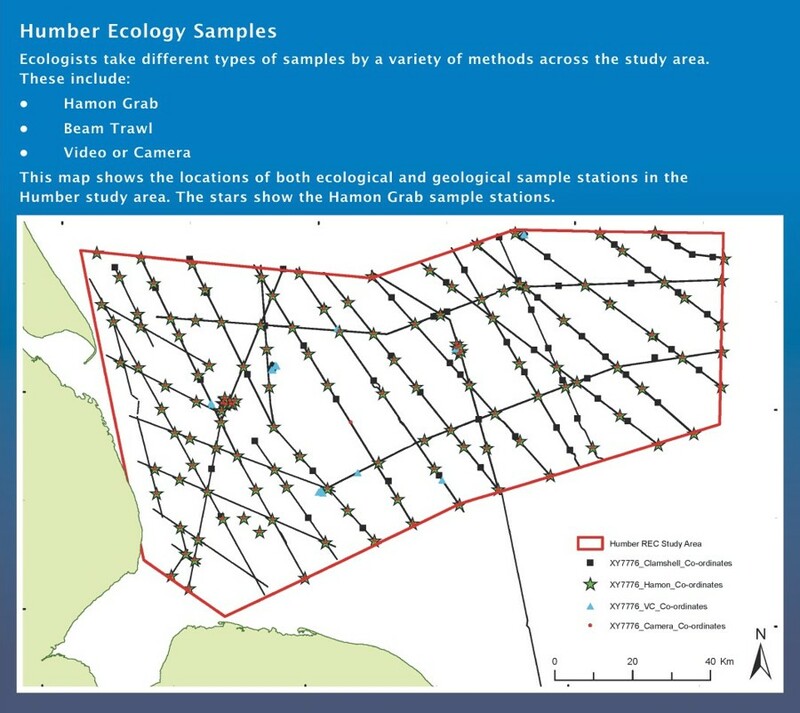 This section provides a summary of the Humber REC results for the ecological research. Click on the links below to find out about each topic, or scroll down to read the entire text. What is living in the seafloor? What is living on the seafloor? You can find our more about the scientific research techniques mentioned in the sections below by visiting the “How we study the seafloor” webpages. Read our Sustainability webpages to discover how these results will help protect the Humber REC area. During the REC, ecologists discovered that there are many different animals living in the Humber seafloor. Working from a boat, the ecologists used a Hamon Grab to collect 135 samples of infauna to study. 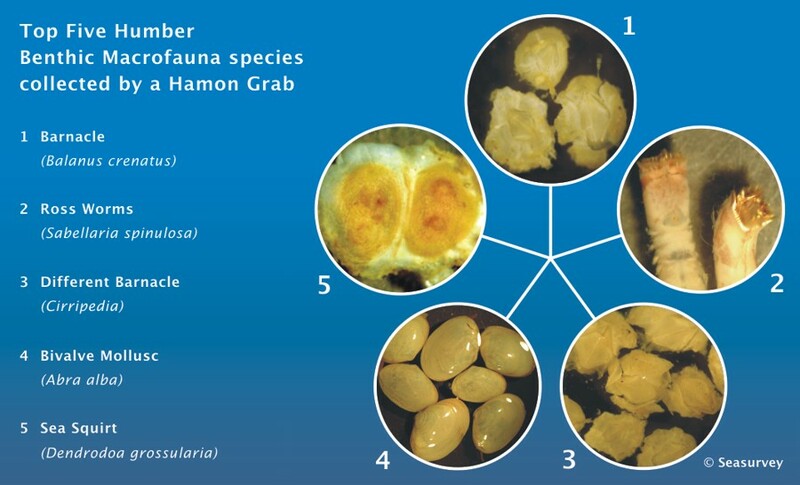 It is important to note that the Hamon Grab will also collect some epifauna, so often these results can contain both types of benthic macrofauna. 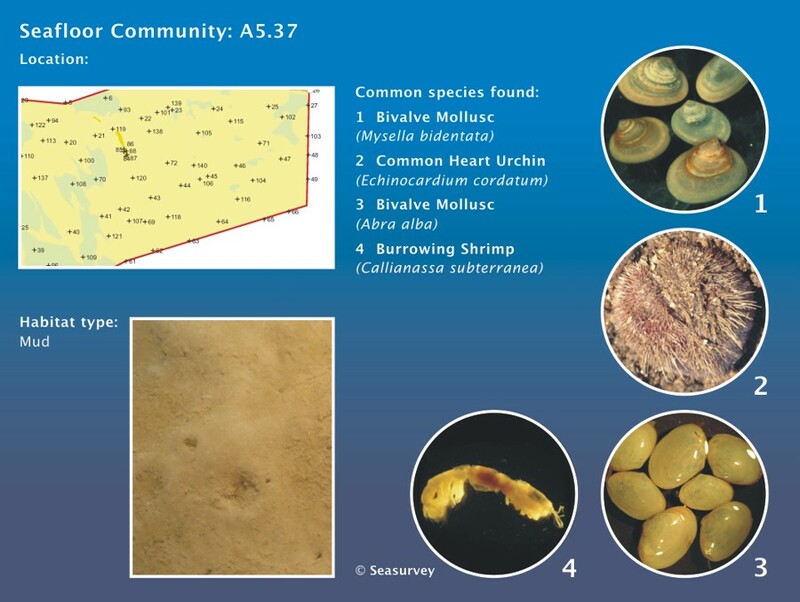 In total, the ecologists discovered 684 different types of benthic macrofauna. First, they recorded the infauna by animal type. The most common animal type in the Humber was Crustacea, which includes animals with a hard outside skeleton like crabs, prawns, barnacles and lobsters. The ecologists found that there were more animals and more species of animals in some samples from the western half of the Humber REC study area. This is because the seafloor there is made up of what is called ‘mixed sediments’: it has both sandy and gravelly sediment particles, compared to the east which is mostly just sand. Microfauna like mixed sediments as habitats. The infauna like to bury into the sediments, while epifauna can attach to the gravels on the seafloor. This means that more types of animals can live in mixed sediments. The ecologists identified combinations or patterns of animals living together from the information they collected. They discovered 15 different groups that like to live in different environments. For example, Group No. 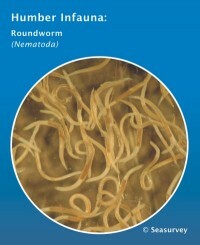 14 includes sea animals such as polychaete worms and burrowing amphipods that live within the sand. What lives on the seafloor? Using trawling nets along the seafloor is another method for exploring marine life. Ecologists used this method when they studied the Humber seafloor. 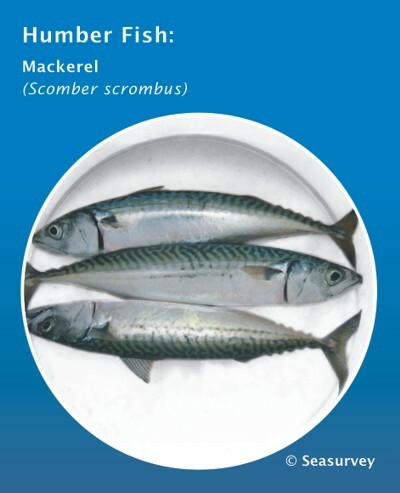 The beam trawl collected 30 samples of epifauna and demersal fish for the ecologists to study. It is important to note that the beam trawl will also collect some infauna so often the results contain both epifauna and infauna species. In total, the ecologists discovered 125 different types of benthic macrofauna. 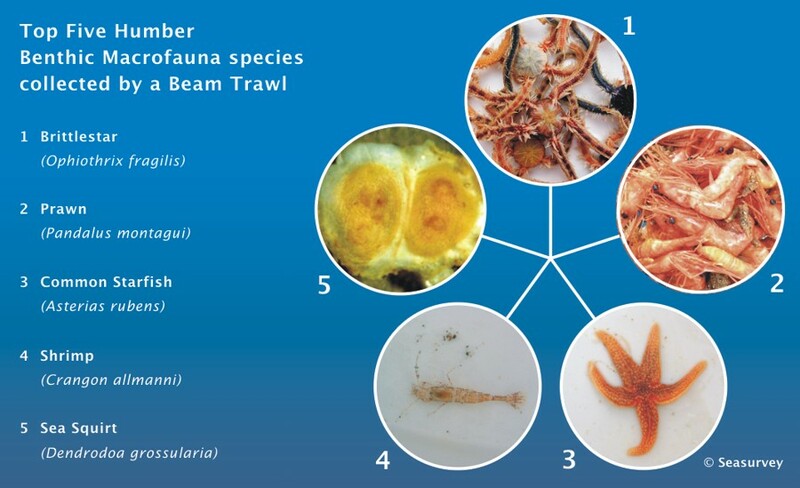 The most common animal types from the trawl samples were Crustacea, which includes crabs, lobsters and shrimp and Echinodermata which includes starfish and urchins. The ecologists found that the diversity of sea animals living in the Humber area was not as high as some other coastal area studies. Again, the ecologists look for different combinations of animals that live together out of the larger epifauna. This time they found 6 groups that like to live in different environments. Different combinations of animals and plants like to live in different underwater environments. We can think of these groups of animal and plants as seafloor communities. Understanding seafloor communities and their habitats is important to help us protect sea life in the Humber area and all around the coasts of the United Kingdom. 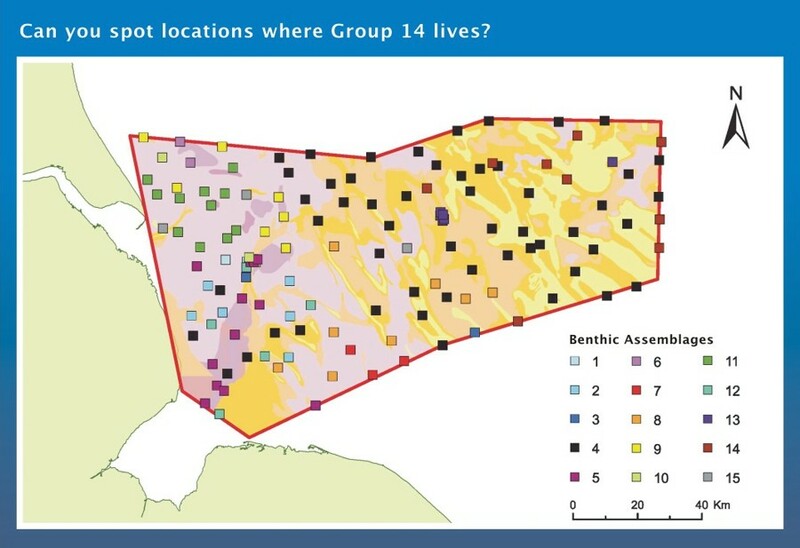 By gathering together information about seafloor animals and the geology for the area, ecologists are able to map the seafloor communities and their habitats. This is a complicated process called modelling, which uses computer programs to help predict how the results from our samples stations can tell us about the whole area. This is needed because it is not possible to take grab or trawl samples from everywhere in the study area and we need to fill in the gaps. You can find out more in our Methods webpage. Ecologists give each seafloor community and its habitat a classification called a biotope, which provides a description of its key components. 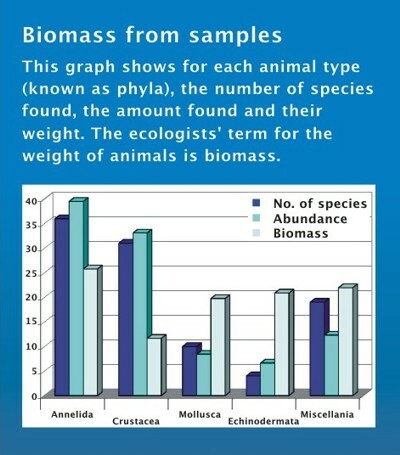 The ecologists identified 17 different biotopes in the Humber study area. 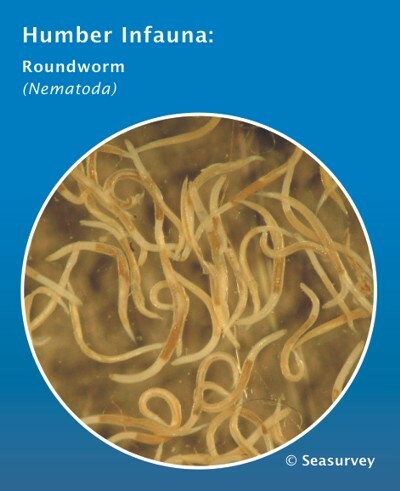 This included four completely new biotopes, which were not already included in the biotope classification list. This is because the list of biotopes does not yet describe every type of seafloor habitat and community that exists. This biotope system allows us to predict areas of the seafloor where endangered species live, or where diversity is high, so that we can ensure they are protected. We can also keep an eye on these areas, to see how changes caused by humans or nature affect the numbers and types of animals present.